So it happened – you’re engaged!! After the screaming and excitement and then a little bit more screaming has subsided you’re thinking oh God, now I have to plan a wedding. Where to start? What theme? Who am I going to invite? I don’t want to break the bank! Can I really plan a wedding on a budget? Sit down, Relax and grab your notebook and pen (the pretty one that’s been hiding in the drawer for this occasion) we’ve done the hard work for you. Here are TEN ways to have an elegant wedding on a budget. Before we get started on how you can plan an affordable wedding on a budget, we wanted you to take the time to like our Facebook Page here! Follow us on Instagram as well for a chance to win gifts and see more cool things. We also use affiliate links in our blog post which means we can make a commission if you use any of our affiliate links. Planning a wedding on a budget is not as hard as you think. So many ways to be creative but it can get overwhelming. So we rounded up a few things you can do to set your wedding planning in motion. Only the most important part of the day (apart from the groom, maybe!) but you don’t have to spend 1000’s to get that elegant look. Check out your local bridal boutique for one-off sale days or consider going second-hand for even more savings, most of the time they have been worn once and been professionally dry-cleaned. It’s all about how you feel and if you are rocking it then nobody has to know. 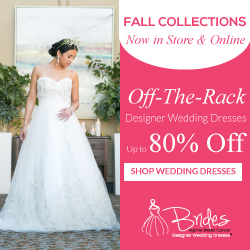 Stores like David’s Bridal are always having sales making it really easy to plan a wedding on a budget. When planning a wedding on a budget, you really need to consider all your options. Hair and makeup are a huge part of your look on the day and can get expensive hiring professionals. Think about contacting your local college and hire a college student studying beauty. They will be a bit a lot cheaper but can still do a great job. Always book a hair and makeup trial to ensure you love the end results. Consider choosing an unconventional date or season. A lot of places have off-peak prices. 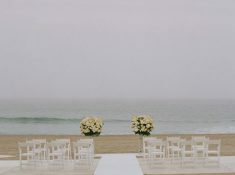 Also, think about choosing somewhere a little bit more off the grid, they can have beautiful backdrops to your wedding and also save you a few bucks. 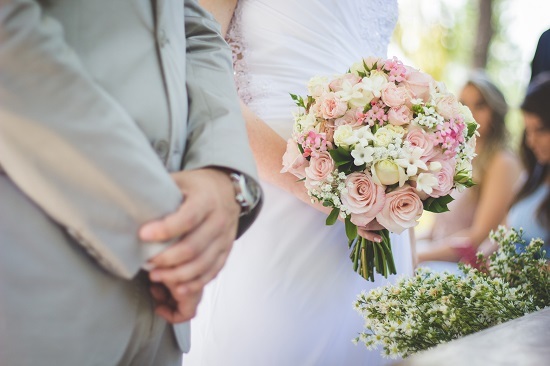 If you are planning a wedding on a budget, dates like a Saturday or long weekend will only cost you an arm and a leg. Do pick your dates carefully. Ask around! You never know who is hiding a classic car in the garage perfect for your arrival. If not then make sure to book wayyyy in advance to get the best deal possible. If your wedding is a year from now, book now to grab the current year prices. Go wild with the decor. 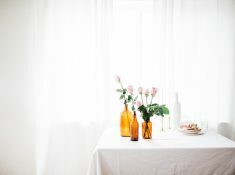 Pick seasonal flowers and opt for lots of foliage which can be picked from your own garden if you want, check out local budget stores for things like mason jars and Buntin and jazz them up to fit in with your theme. Make sure to get crafty. 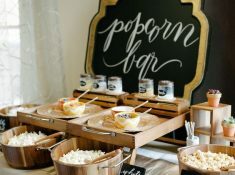 Pinterest is going to be your best friend the months coming up to your wedding day and they have no end of ideas for wedding favors and it gives that personal touch that guests can keep to remember the day. Don’t forget that you can easily personalize your wedding favors! Remember you are planning a wedding on a budget. Wedding favors can easily cost up to $2 each. If you have 100 guests, that is $200. Here is a list of unique wedding favors that will wow your guests. You know that auntie/cousin/soon to be mother-in-law that is amazing at baking cakes? Ask if they can help. They will be flattered and you know the cake will taste amazing! Buy the drinks in bulk from the supermarket when it’s on offer and bring it with you to the venue it can be a huge saving point towards the day. (check the venue for fees on bringing your own alcohol). Find areas you can save on your wedding on a budget. 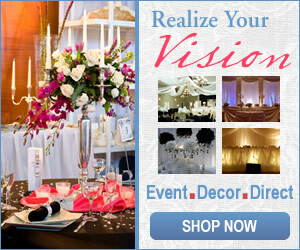 If you have friends or family that are in the wedding industry, see what they can do for you. Hiring a band or DJ can be quite expensive especially if you are having a wedding on a budget. If you want to have a live musician then think about asking around. People might know local bands or buskers that are amazing and would happily book your wedding for a smaller fee. And if you are really on a tight wedding budget, a great Spotify playlist is another way to go in terms of your wedding on a budget theme, guaranteeing you’ll love the music and keep people dancing all night long. Haggle! Haggle! Haggle! Always try and get a cheaper price than first stated even if you have booked a “high-end” venue or professional it never hurts to ask and can save you a few bucks as well. You should never stop negotiating when planning a wedding on a budget. You will never know when a great saving will come along. So you’ve done it! The big day is here! Everything looks amazing, you look amazing, the groom is looking on point and you’re ready to do this. Keep calm, relax and have an amazing day. The most elegant part of your wedding is you and your partner so as long as you enjoy the day the rest will fall into place. Learn how to BeFrugal and save thousands of dollars on your wedding day. Keep in mind that you can get gorgeous items from Amazon too. This will come handy on your journey to planning a wedding on a budget. We hope you liked our unique ideas on how to plan a wedding on a budget. Which of these will you try?